alaTest has collected and analyzed 57 reviews of Alienware 13 (2014). The average rating for this product is 3.9/5, compared to an average rating of 4.1/5 for other products in the same category for all reviews. Reviewers are impressed by the durability and battery. The design and screen are also appreciated, but there are some mixed comments about the performance. The reliability and usability get negative views. We analyzed user and expert ratings, product age and more factors. Compared to other products in the same category the Alienware 13 (2014) is awarded an overall alaScore™ of 89/100 = Very good quality. 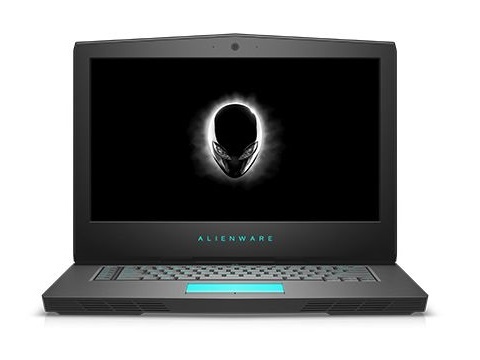 Cohesive design ; Fantastic QHD screen ; Packs a GTX 960M to start ; "Future-proof"
Alienware's 13-inch laptop is a well-built machine and a good performer for light to moderate gamers. However, the optional Graphics Amplifier accessory feels almost mandatory if you expect anywhere near enthusiast-level graphics. The revamped Alienware 13 is one USB port away from hitting every item on my wish list. The OLED touchscreen is stunning to watch, and the new Nvidia graphics card can handle VR headsets and the latest games with ease. With only two full-size USB ports, hooking up VR gear plus a game controller is a hassle. The physical redesign isn't as extensive as it could be, and this OLED version is very expensive. This high-end gaming laptop adds a stunning OLED screen, for less than you might expect. The OLED screen on this 13-inch gaming laptop looks amazing. Gaming performance is very good for a mainstream gaming laptop, and there's even an (expensive) option for adding VR-ready desktop graphics. The display is not as finely tuned as high-end OLED televisions, the graphics options don't go past mainstream, and battery life while gaming is short. For something truly different and eye-catching, the OLED display on this "limited edition" Alienware 13 gives it great visual punch, but keep in mind this is not a top-end gaming rig. The Alienware 13 is a compact yet very powerful laptop, suited to playing all modern Windows games. It’s chunky thick but relatively light in weight, and has been well designed and equipped to be a premium yet still portable powerhouse. Plug your favorite PCIe graphics card into this sold-separately breakout box for a performance boost.